This post is being submitted as part of a contest sponsored by Krusteaz for a chance to win prizes and I received free products from Sponsor. Holiday entertaining is just around the corner, which means hosts and hostesses will soon be looking to cook up simple dishes that please the palates of all their guests – including those who are gluten free. I created a great new gluten-free cookie recipe as part of the Krusteaz Blogger Bake-Off challenge hosted by Krusteaz, maker of premium baking, pancake and waffle mixes. They have a great selection in the NEW Gluten Free line, including Buttermilk Pancake, Honey Cornbread, Wild Blueberry Muffin and Double Chocolate Brownie mixes. They deliver big on taste – without the gluten! 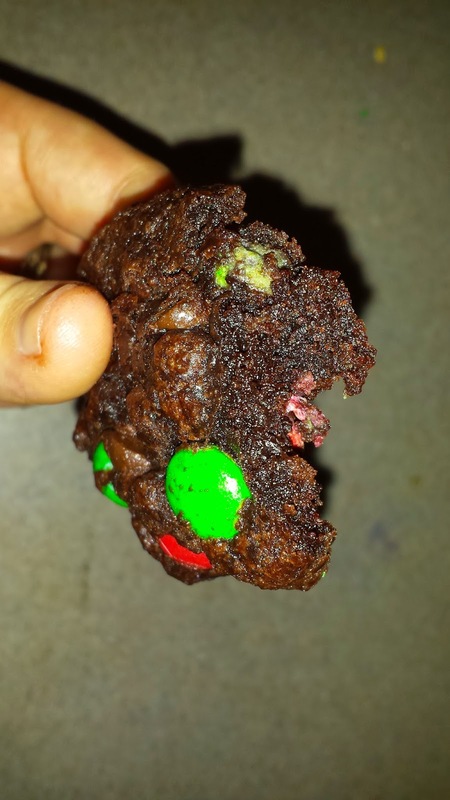 If you like to make cookies during the holiday season like I do or have a gluten-free person on your gift list this year, you have got to try this tasty, festive, GLUTEN-FREE and easy to make cookie recipe made with the help of Krusteaz Gluten-Free Double Chocolate Brownie mix! It is a great recipe if you are short on time or want something you can make in a short time! Preheat oven to 350°F. Lightly grease cookie sheet. Place brownie mix, eggs and oil in medium bowl. Stir until blended. Add the M&Ms to the dough, mixing them through by hand. Using a cookie scoop or a tablespoon, spoon the cookie batter into a ball and put onto the prepared pans, leaving at least 2-inches between each mound of batter as it will spread quite a bit. Bake 13 minutes and let sit for 5 minutes before putting on cookie rack to completely cool. Makes 1 1/2 dozen 3-4 inch cookies. These brownie cookies were so ooey gooey, soft and delicious! I seriously couldn't stop "sampling" them! 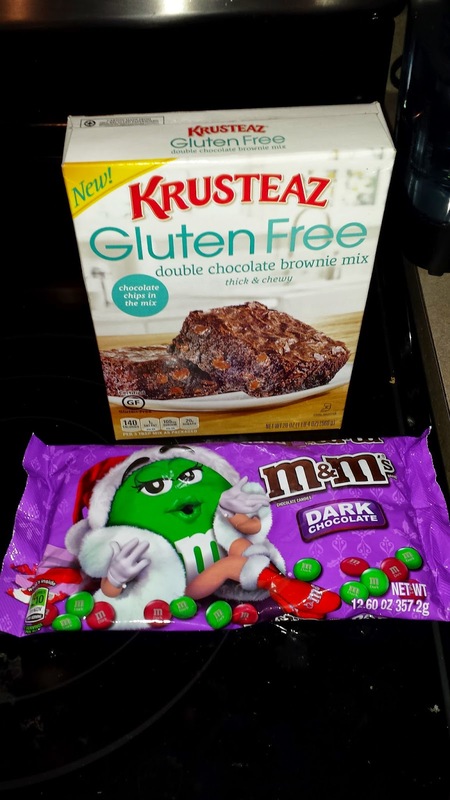 The M&Ms are the perfect touch and I just can't believe they are Gluten-Free! 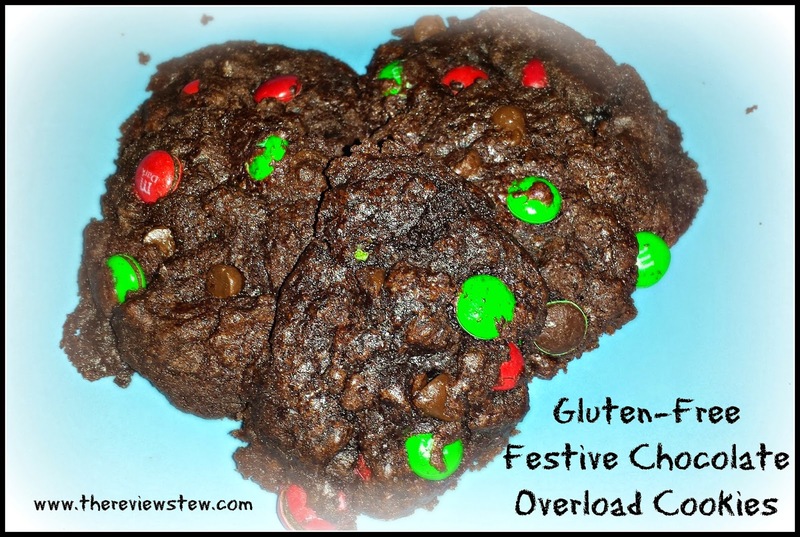 Definitely a must have, easy recipe this holiday season for festive cookies! Krusteaz is generously offering (1) Krusteaz Gluten Free prize pack that includes Krusteaz’s new Gluten Free mixes (including Gluten Free Blueberry Muffin Mix, Gluten Free Buttermilk Pancake Mix, Gluten Free Honey Cornbread Mix, and/or Gluten Free Double Chocolate Brownie Mix) as well as a Krusteaz spatula and a handy jute tote shopping bag to a lucky winner!